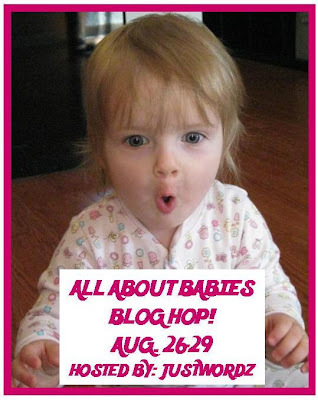 JustWordz: JUSTWORDZ All about BABIES Blog Hop!!! Welcome, everyone, to the first JustWordz Blog Hop! I'm glad you were able to join us. The theme of our hop is “All About BABIES” and this is your first stop. My very talented Design Team has made some fabulous projects that i can't wait for you to see. The list is short but packed with wicked awesomeness! 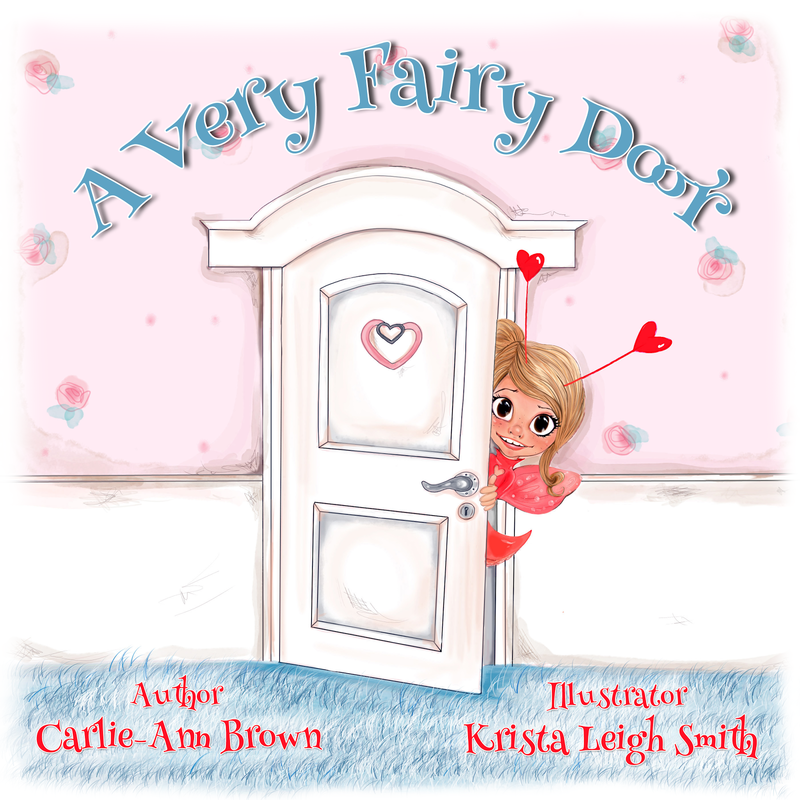 Please visit all of the DT member's blogs and leave them some love; and then come back here to enter our blog candy giveaway. If you have been following us the last few weeks, we have been showing you a variety of sentiments that can be created using JUSTWORDZ Everyday Sentiments stamp set. We've only scratched the surface as there are so many ways these wordz can be used. Inventory is getting low so purchase your set today to avoid having to wait for my new order to arrive. As the first stop, I get to show you my projects first! Here i did a card and matching favor box. The card consists of a image from bugaboo and was colored with promarkers as usual. Papers were from K&Company. On the tag i have "For Baby" stamped and I even did the inside of the card. Unfortuneatly it's hard to read the sentiment due to poor lighting, but it says, "Best Wishes For Your New Baby". Very soft and cutesy. Now this favor box is a SVG file and is from http://www.sherykdesigns.com/shop/ and it cuts perfect using my scal program. Papers were from the same stack and the little soother is from my diaper art days. Used a little ribbon, buttons and even some twine..sentiment used is "Let's Celebrate Your Baby"
Made with Diapers of various sizes, baby wash cloths, baby socks, and embellishments. What's a blog hop without some candy eh? I have a couple surprises up my sleeve. First of all i have two packs of digital papers for all who visit, no one goes home empty handed. These papers were donated by http://www.sherykdesigns.com/shop/ and are for personal use only! I just love her papers as you've seen over the last while. You can check out her store as she has some other great freebies, so please drop by and have a look. To download click on the link. I will have one winner for the grand prize, and two additional winners will receive a free paper kit of their choice from http://www.sherykdesigns.com/shop/ Thank you so much Shery! I'm also giving away a pack of embellishments that i will be selling here at JUSTWORDZ in the near furture. I'd love to know what you think of these little kits so all comments are welcome and appreciated. Soo...in all, we'll have 4 winners on my blog alone this time around. Good luck to all of you and happy hopping! Very interesting blog hop! I enjoyed works of DT! First off I love your card, it is so cute, and the blog candy is scrumptious. I became a new follower today! ooooooooooooo weeeeeeeeeee there is a whole lotta goodness going on here! Great card and gift box! Wonderful diaper art.....did you do that?!>! Look at all those goodies! YUMMY ! Great job with the hop! When you said you have tried a little of every kind of craft I never imagined diapers in the mix lol. Great show of your crafty side today with all three different styles of crafting! You put together a great design team. I hopped all the way through! Thanks for the great ideas. Fabulous projects, g/f! Your card is too cute for words and the little treat box is awesome. And the diaper art.... I have never seen anything but cakes... these are incredible! I like the embellie packs too. Thanks for the digi papers. I'll drop by SheryK's shop later to check it out and download the freebies. Sweet card and treat box. Love the diaper art. Your design team is very talented. Thanks for hosting the hop. Oh and I am a new follower, for sure! Great projects. Just love the "Diaper Art". All the projects by your design team are amazing as usual. where to start, love the image on your card, so cute!! The litle box is cute too!! I love the diaper art too the animals in the basket are so cute!! I loved the hop your DT did a great job!! The embellishment kits are so pretty!! Thanks for the chance to win!! Your blog hop was wonderful, so many creative, beautiful creations! I love your card and that sweet little favour box. Your stamps are on my must have list! Wonderful diaper art, too. Oh and your embellishments and candy look really nice! Thanks for a chance to win! Fabulous projects. That diaper art is so creative. Your candy looks yummy. Thanks for the chance to win. I am loving this blog hop! I started at the end of course (with Corry) but I am getting caught up now. I love the colouring and sweet cards and projects all the designers have come up with. Soooo much talent! Your card with the new arrival hanging from the stork's beak is too cute and I love the little parade of giraffes along the bottom edges. So many sweet embellies and trims. The little box is a cute project. Great for a shower favour. BTW, the Noah's ark diaper art basket is the cutest gift I think I have ever seen. Just sweet! love everything, especially the one with the soother! This is awesome!!! LOVE the projects! TFS! Fantastic projects. I love the colors you used on the card and the soft edges. I love all of your projects. The image on the first card is adorable!! This hop is just awesome! Very cute stuff! These are just the cutest projects! I love seeing baby projects so this is the perfect hop for me! The diaper art is awesome. Great projects. The diaper art is adorable. TFS. Your card and gift bag are adorable but your diaper art is fabulous!! Love all your projects. Thanks for the chance to win I really enjoyed the hop having come across you from my fellow dt partner Dora. Oh and your little embellishments look amazing.